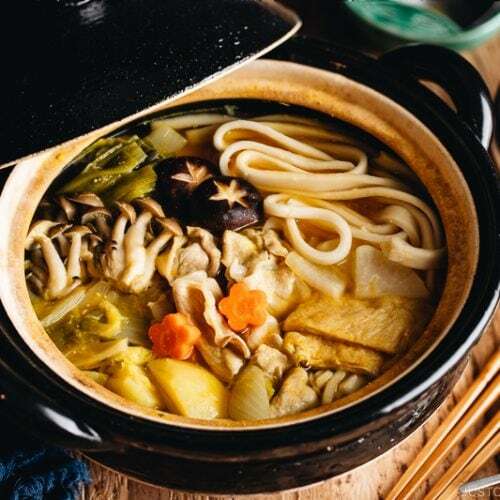 Filled with starchy vegetables, meat, and flat noodles in miso-based dashi broth, this hearty noodle soup called Hoto is a popular regional food from Yamanashi prefecture in Japan. For the past several years, my family has visited Yamanashi prefecture a number of times. Yamanashi is in the proximity of Tokyo and Yokohama where my family lives, and the convenience brought us to a few different ryokans (Japanese-style inn) to enjoy delicious food and onsen (hot springs). Each trip, we got to enjoy the famous regional noodle soup called Hoto (pronounced as [Hōtō]). This hearty, homey, rustic noodle soup is especially comforting in winter months and I couldn’t wait to share the recipe after our recent trip in January. Hoto (ほうとう, 餺飥) is a miso-based noodle soup originated in Yamanashi, Japan. 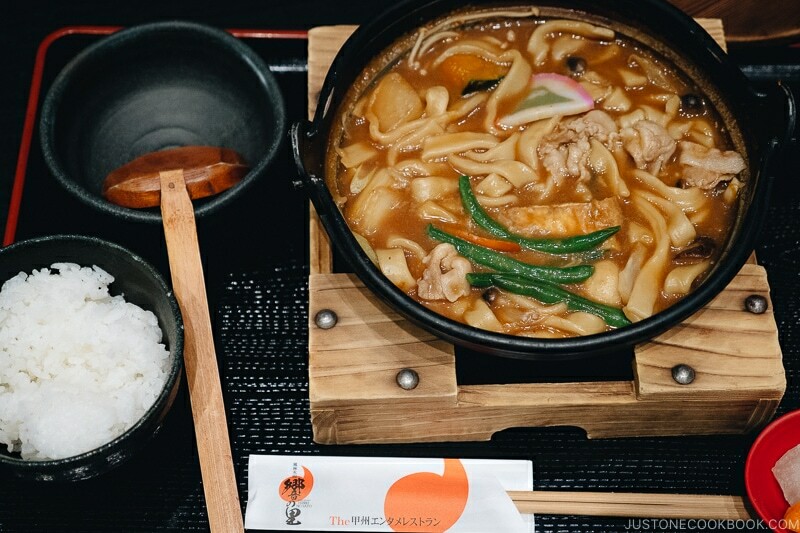 It’s known as a regional food from Yamanashi, and it consists of vegetables (especially kabocha squash), meat, noodles in a dashi broth that is seasoned with local Koshu (甲州) or Shinshu (信州) miso. The noodles in this soup are a bit different from udon noodles. The dough has a tougher texture and is not mixed with salt or left to sit. Hense, the noodles are more doughy and lack of elasticity. It has a lot more similarity to dumplings than noodles. Since these noodles are not required to parboiled prior to adding to the soup, they are cooked raw in the soup along with the other ingredients. The origin of Hoto was due to shortages in local rice crops. The rice fields in Yamanashi were turned into wheat farming, and flour products like hoto noodles were invented to counter food scarcity. 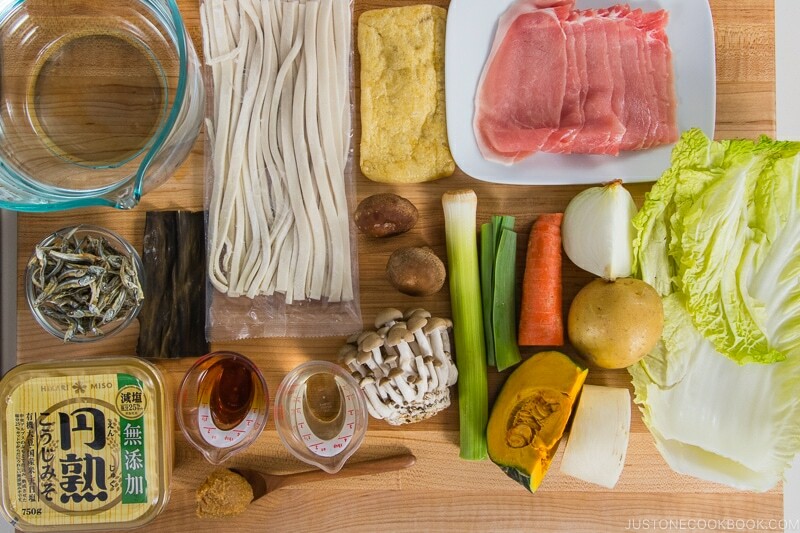 This home-style noodle soup is a lot more flexible when it comes to ingredients. You can use what you have in the fridge and it would work just fine. 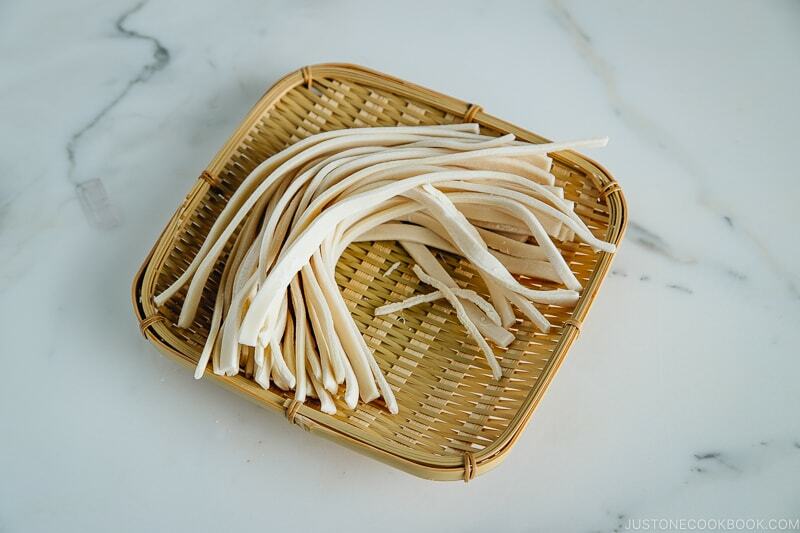 Fresh hoto noodles are impossible to find outside of Yamanashi prefecture, so some people use udon noodles instead. You can also make hoto noodles from scratch. All it needs is flour and water. Be sure to check out the Notes section in the recipe below if you’d like to make the noodles yourself. It’s easier than you think! Dashi (Japanese stock) – I used both kombu dashi and anchovy stock (iriko dashi) in flavoring the broth as it is how it’s done traditionally. Anchovies lend a stronger and flavorful broth but feel free to use other dashi that is available. For vegetarians, you can use kombu dashi or/and shiitake dashi. 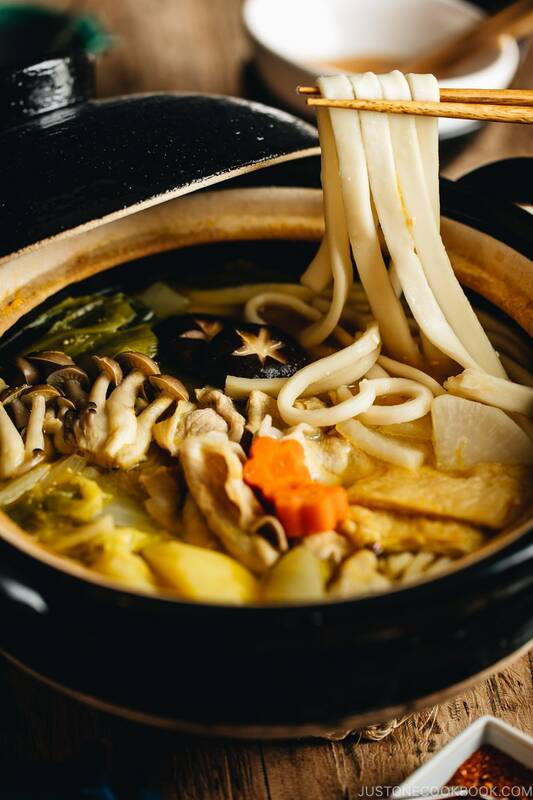 In Yamanashi, you’d find hoto noodles being served in an iron pot, which keeps the noodles and soup hot. At home, I use my versatile donabe (Japanese earthenware pot) to cook and serve the dish. No donabe? 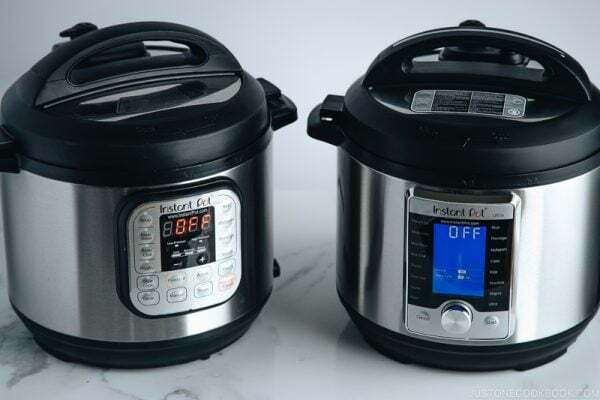 You can certainly use any soup pots (heavy cast iron or clay pots are best). The main flavor for the noodle soup is dashi made with anchovies and kombu that is seasoned with local miso. 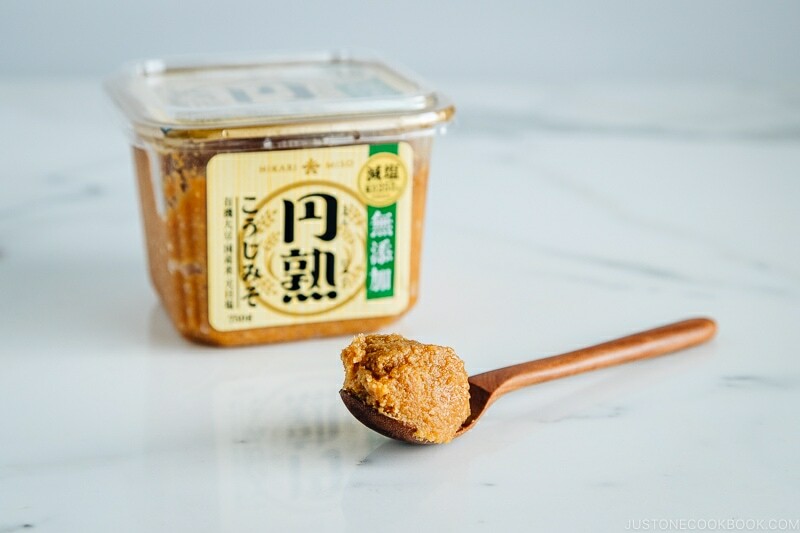 Mutenka Enjuku Koji Miso (with a green label) from Hikari Miso® contains 25% less sodium than Mutenka Enjuku Koji Miso. It still has a full flavor and umami yet no food additives or preservatives are used in this genuine koji miso. It is so delicious, and it’s one of my favorite miso to enjoy in all types of recipes that require miso. If you already have miso in your fridge, you can definitely use it for the broth before you venture into other types of miso. You can read all about miso to be familiar with different types of miso. I have been using all kinds of miso from Hikari Miso® for over a decade, and I enjoy the partnership with them. 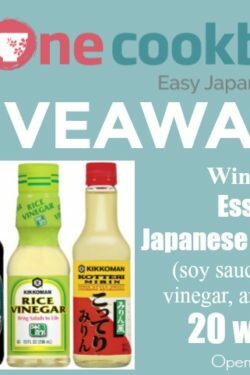 Thank you Hikari Miso® for sponsoring this post! 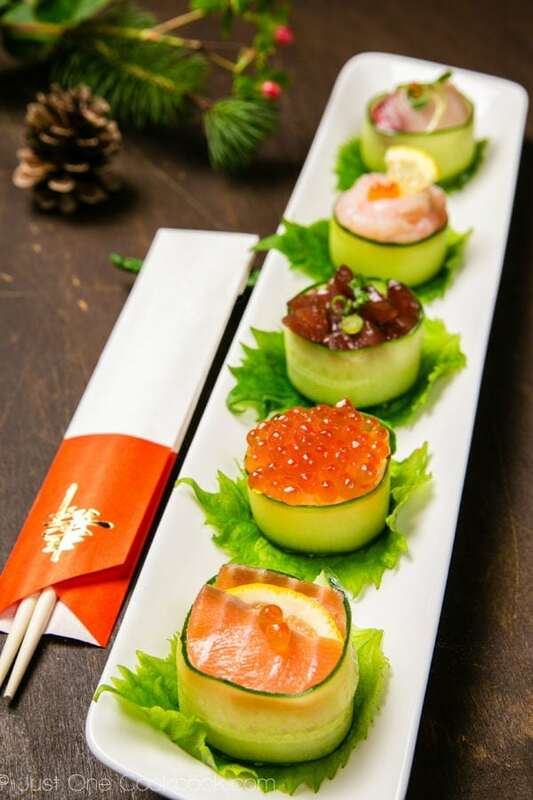 Part of the fun of visiting Japan is the endless opportunity of trying out its multifaceted regional foods. And the great news is – you can recreate these flavors at home with the regional food recipes I’ve shared on Just One Cookbook. 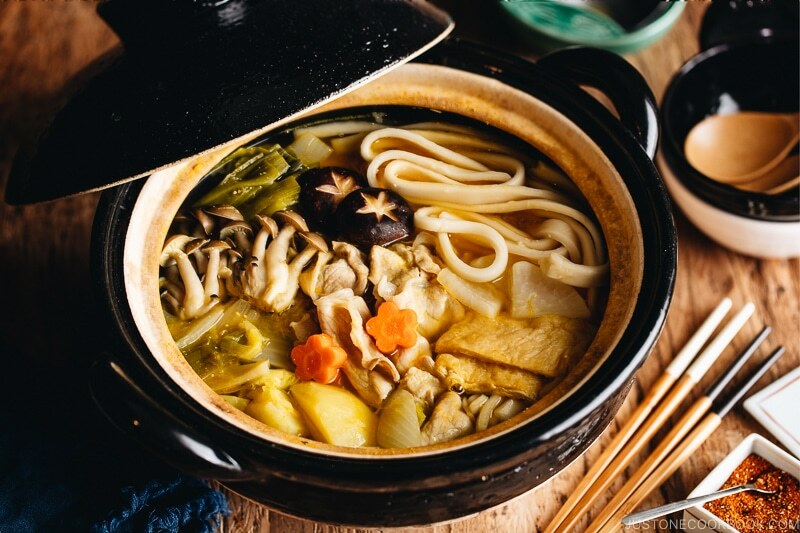 I hope you enjoy making Hoto Noodle Soup, and if you have any recipe request for Japan’s regional food, just leave a comment below! Soak the kombu in 5 cups water. Remove the head and gut (inside the tummy area) of anchovies. If you’re not sure where the gut is, it’s the black thing inside the tummy area. 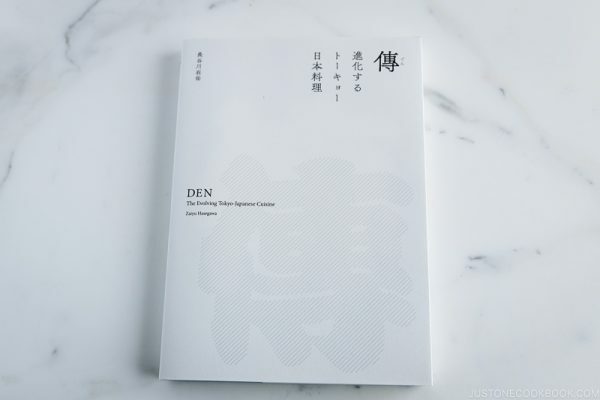 This will reduce the bitter flavor in dashi. Put the clean anchovies (left piles) in a tea bag (or cheesecloth) and discard the remains. Add the bag to the kombu dashi, cover, and slowly bring to almost a boil on low heat. Once almost boiling, remove the kombu and continue to cook anchovies for another 10 minutes. Skim the foam/scam while cooking. After 10 minutes, remove the bag of anchovies. Set aside. Remove the seeds of kabocha squash and cut it into 1-inch cubes. Cut daikon into half and cut into ¼ inch slices. Then cut them in half. Cut carrot into ¼ inch thick rounds. If you like, you can cut out into a flower shape. Cut the potato into small pieces and cut the onion into ½ inch slices. Cutting the napa cabbage into smaller pieces, especially the bottom tougher part of the leaves. Cut the leeks into 2-inch pieces. Cut each tube piece into quarters lengthwise. Cut the bottom of shimeji mushroom and shiitake mushrooms. [Optional] You make a decorative flower shape on the cap of shiitake mushrooms. See the post here. Pour boiling water over Aburaage to remove oil and cut into 4 pieces. Now all the ingredients are ready to be cooked. 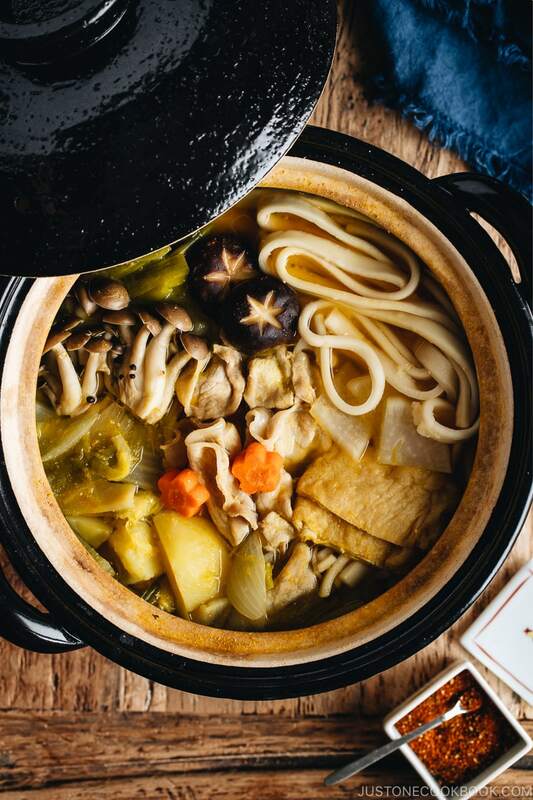 Heat the dashi over medium heat and start cooking tough vegetables first, such as leeks, onion, daikon, the bottom part of napa cabbage, potatoes, kabocha, etc. Once boiling, add the thinly sliced pork (separate each slice). Add 4 Tbsp sake and 2 Tbsp mirin. Bring it to boil. Once boiling, add the rest of ingredients and hoto noodles. Bring it back to boil again and skim the foam/scum as you cook. 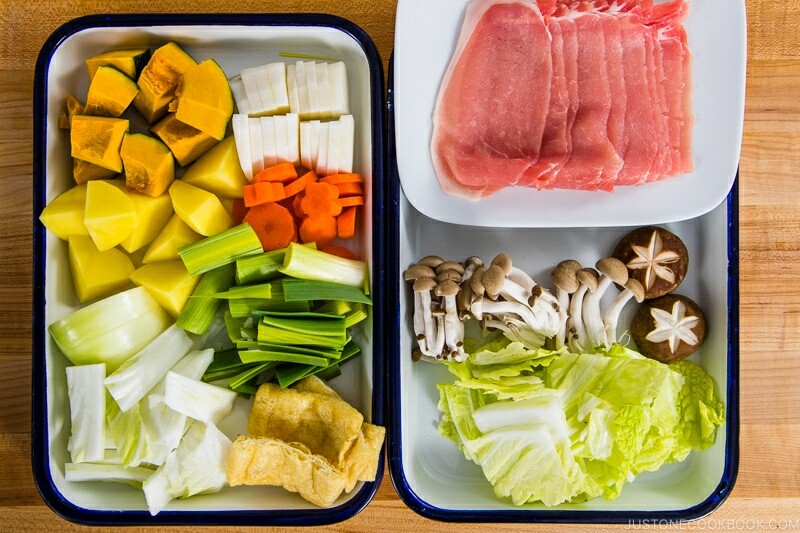 Add the 5-6 Tbsp miso (varies depending on the type of miso) and continue to cook on simmer until noodles and all the ingredients are cooked through, about 10-15 minutes. Always check the flavor. Add salt to taste and add more miso if necessary. Serve hot and enjoy! 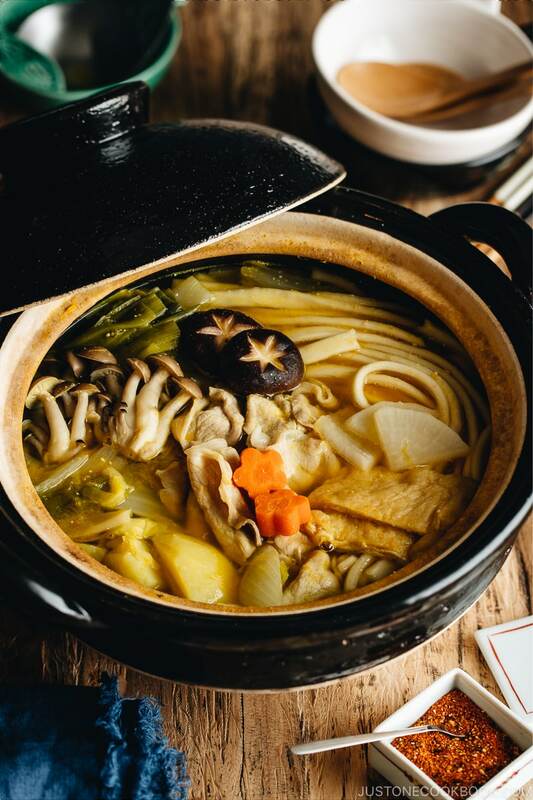 We usually bring the donabe to the table with a portable gas burner stove and serve into individual bowls. Sprinkle Shichimi Togarashi if you like it spicy. In a large bowl, combine 200 g all-purpose flour and 90 g water. Only if necessary, add a little bit of water. Transfer to a working surface. Knead until the dough becomes smooth texture and form a ball. Transfer back to the bowl and cover with plastic wrap for 10 minutes. Sprinkle the working surface with the extra flour and divide the dough into 2. Flatten each dough with the heal of your hand and roll out the dough using a rolling pin. Thickness should be 3-4 mm. Sprinkle flour on the working surface and fold the sheet of the dough into third or fourth and cut into 1 cm thickness. Divide the noodles into 2 (one half for this recipe, the other half for next batch of hoto – make sure to sprinkle extra flour so noodles don’t stick together). We were visiting Lake Yamanakako and decided to stay for the illumination. As the weather we looked for something warm for dinner. We found, by chance, a restaurant that specializes in hoto. I cannot explain how fast we are that night because it was SO good!! 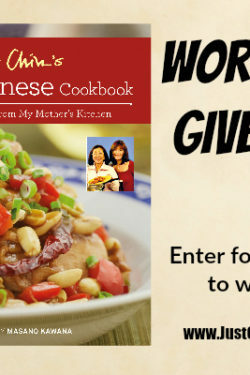 I am looking forward to recreating it using your recipe. Delicious, healthy and hearty pot of soup. I saw your pictures and instantly had an overwhelming craving to try this. Just had a pretty heavily modified version and it was delicious. I used bonito dashi, miscellaneous fridge veggies, thinly sliced hot pot beef instead of pork, and fresh udon noodles, everything else was as- written. It was so satisfying! Hi Julia! I’m so happy to hear that! It should be the one you made, this dish is a homey dish that people make at home with whatever you have going into the pot. Thank you for trying this recipe! Glad you enjoyed it! Will it survive in fridge and how long? I got chilled udon which i will cook separately and add to hot soup, no way udon will survive in soup for long even in fridge. Hi Asa! Thank you so much for trying this recipe! You can keep it till the next day. I wouldn’t keep it longer than that, especially if you eat from the pot on the first day. And yeah, noodles are not meant to keep for next day as they absorb moisture too much. I would add in a new batch of noodles. 🙂 Your replacement sounds perfect to me! Delicious! It worked 100%. Main loss next day was just some color. Japanese soups are awesome! Every one I try to cook stays on rotation! Thank you very much for this site! I used to live in Yamanashi, in Kofu, so I was very excited to see you do Hoto! 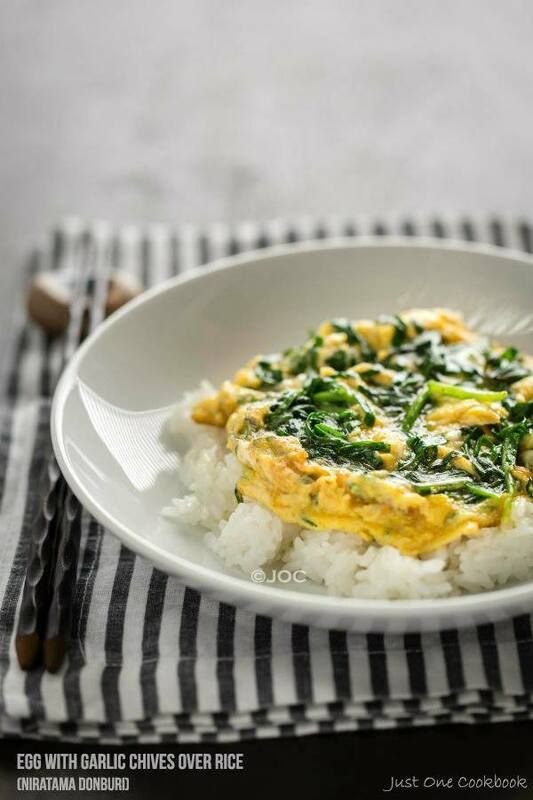 I have been missing Japanese food in my daily life since I moved back to the UK but this recipe looked easy and it wasn’t hard to find the ingredients. So I decided to make it yesterday evening for my family, it went down extremely well! Can’t wait to make more of your recipes, thank you!